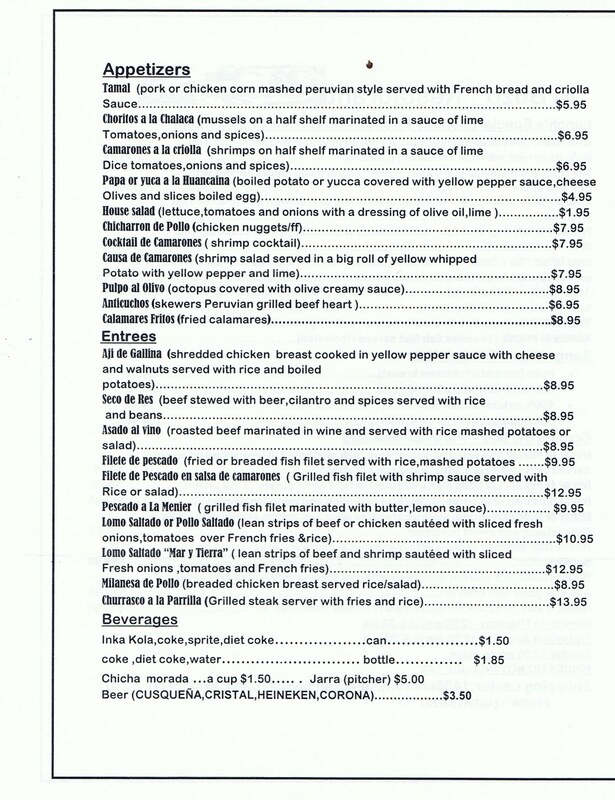 Thanks to Lunch Box Crew link for bringing this restaurant to our attention. 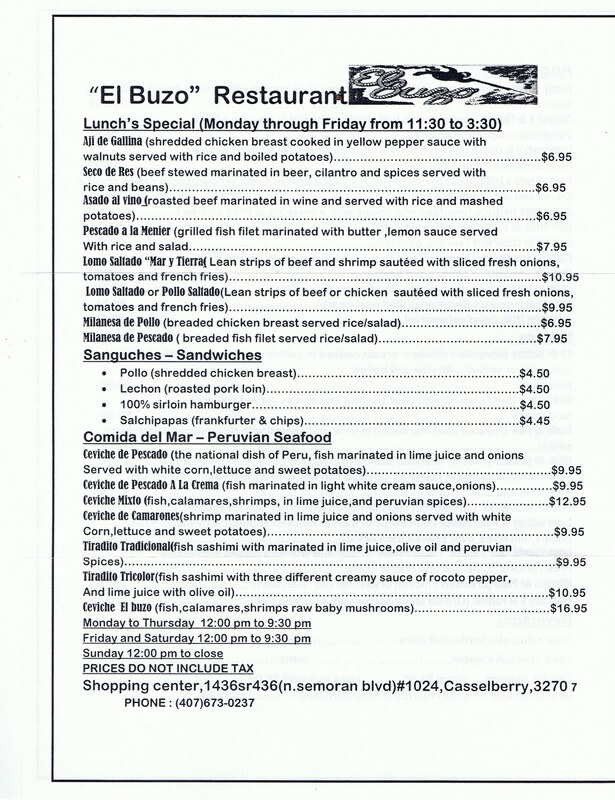 El Buzo is a Peruvian Restaurant in the Market Square Shopping Center behind Smokey Bones on the Northeast corner of Howell Branch and 436. 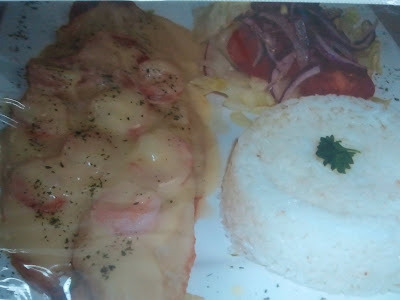 They serve authentic Peruvian beef, chicken and seafood dishes. I was able to try two different dinner plates, the Lomo Saltado "Mar y Tierra" and the Asado al Vino. 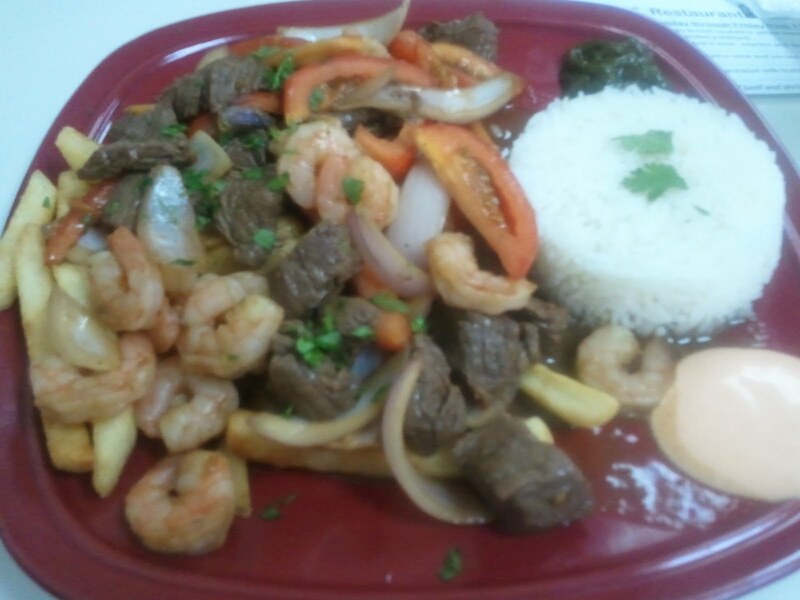 Lomo Saltado is the national dish of Peru and any self respective Peruvian restaurant serves it. It consists of lean strips of beef cooked with onions, tomatoes over french fries and rice. 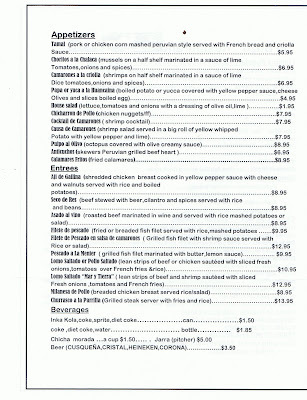 In the case of the "Mar y Tierre" it means Sea and Earth so it also includes fresh shrimp. 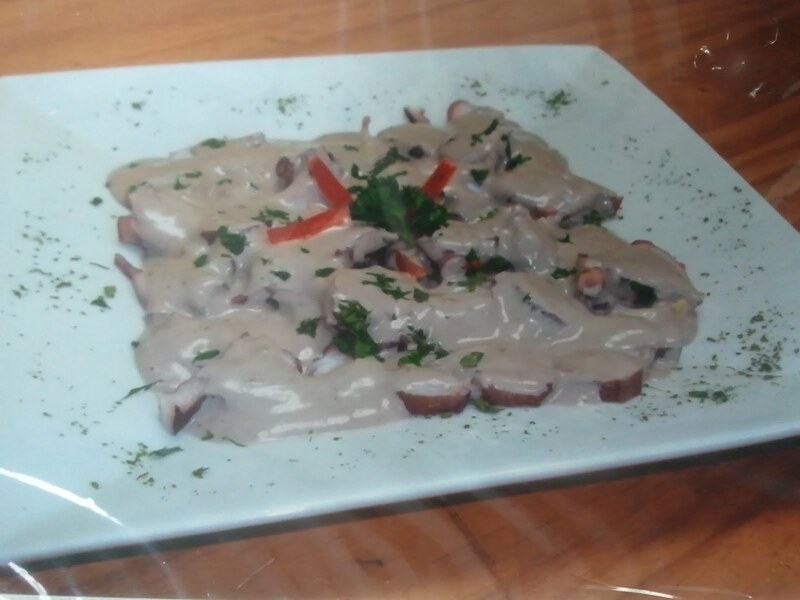 At El Buzo they add their own special touch of sauces on the side, one a tangy mayo sauce and another spicier paste made from herbs including basil. This dish had good flavors and the beef was tender and onions were still crisp. I really liked the herb sauce. The second dish was the Asado al Vino. 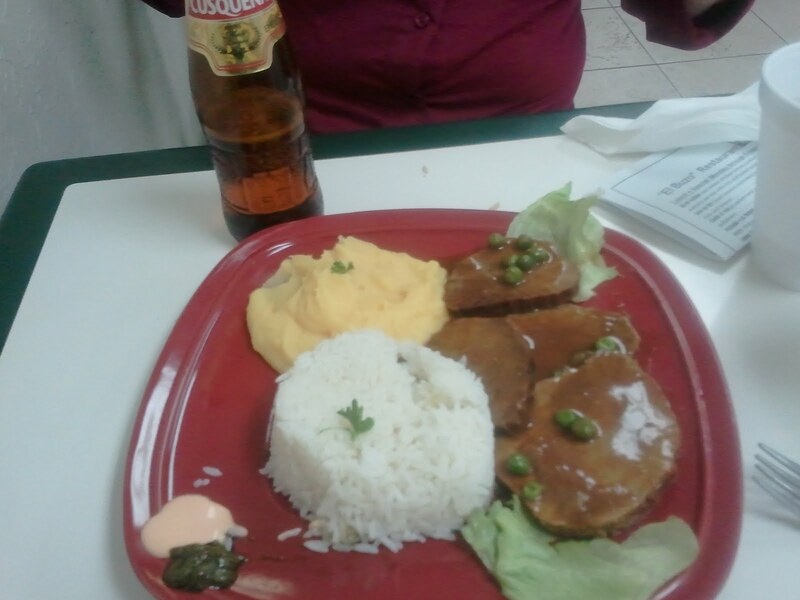 Roasted beef marinated in wine served with rice and yellow mashed potatoes. This was fine but not unlike american pot roast. This would be a great dish to serve to a dinner companion who hasn't had Peruvian food before and is not very adventurous. 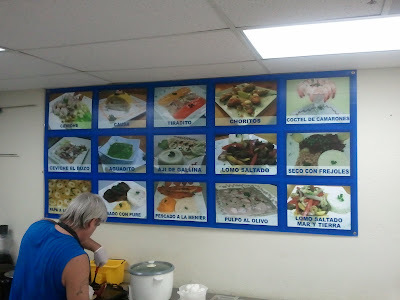 They also specialize in all types of Ceviche, citrus marinated shrimp, fish and squid. The owner and Chef Bruno a great cook & an avid spear fisherman and has won an American Spearfishing Championship. 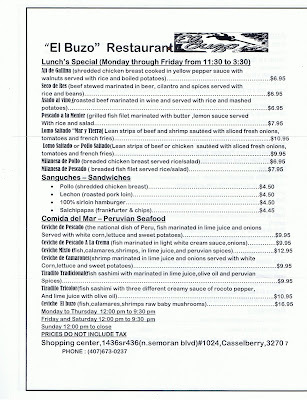 El Buzo means "The Diver". He has a couple spearguns hanging on the wall and lots of great photo albums of his spearfishing conquests on the counter. 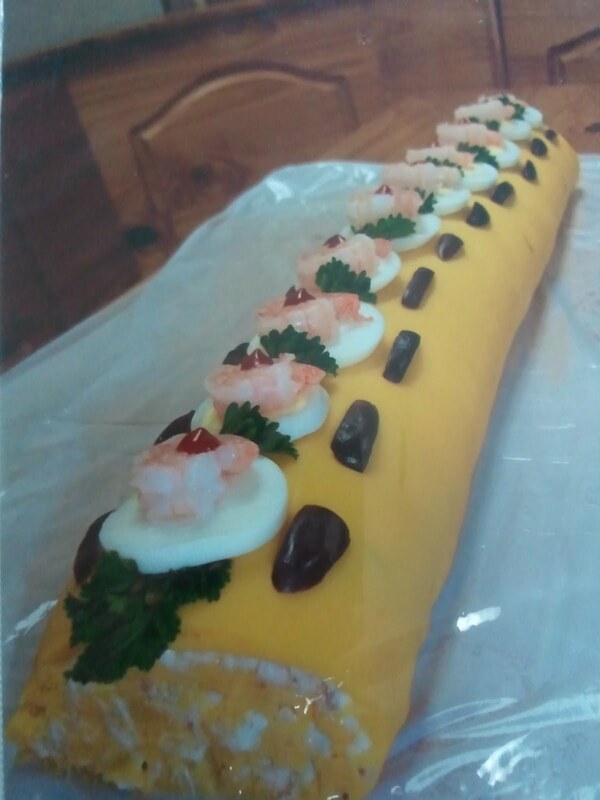 Also in the albums are photos of many of their dishes, very well presented. For dessert I had the Alfadores cookies, which were crumbly type sugar cookies filled with nutella, very tasty!